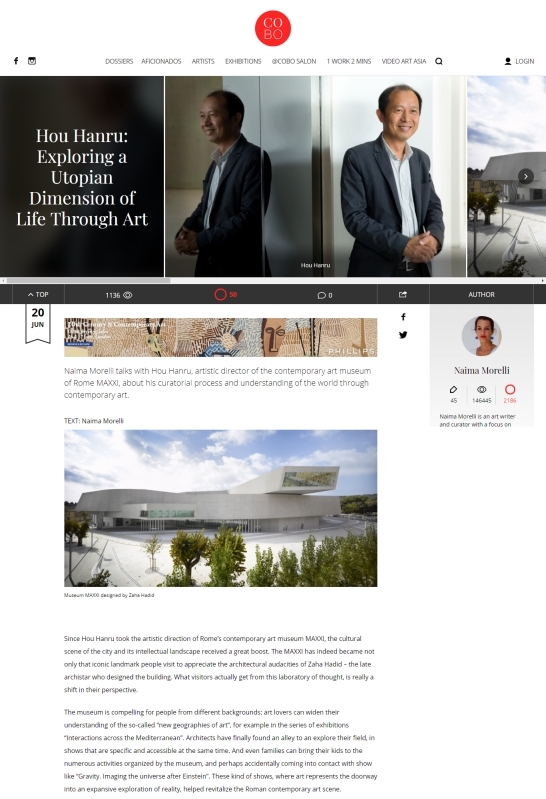 The webmagazine/collector’s platform CoBo has just published my interview with Hou Hanru, curator and artistic director of the contemporary art museum of Rome MAXXI. In the interview I have found Hanru not only to be a great inquirer of our times through art, but also a person of deep intelligence and kindness. All of that clearly transpires from the shows at the MAXXI, which is the channel for Rome to take part in the international dialogue for contemporary art.